An extra dose of panic in the markets today. Let me let you in on a little secret. Let me tell you why I’m pretty ‘chill’ right now. So I’m pretty chill right now, even though the tone of panic running through the media has picked up a notch or two. House prices fell in almost all the capitals in the March quarter, and the RBA’s surprise rate cut let us know that things were a lot worse than we thought. We’re all going to heck in handbasket. And yet Dymphna is surprisingly chill. 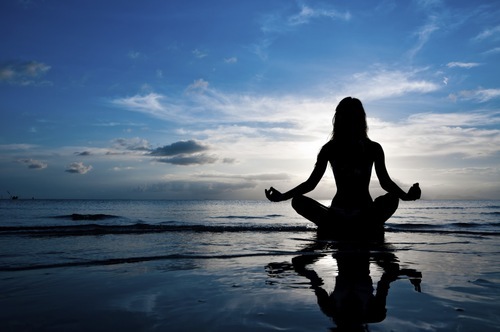 Perhaps she found a new source of meds, or has she found a guru of trans-dimensional meditation? First up there’s the rate cut. It is true that the RBA tends to cut rates when things aren’t going so well, but last week’s rate cut was really about one thing: Inflation. The big shift for the RBA was in the inflation data, which came in miles softer than anybody expected. And it wasn’t just due to a few quirky items in the shopping basket – it was across the board. As a result, the RBA now forecasts inflation to remain below their 2-3% target band all the way out until the end of 2017. Now sometimes soft inflation data happens when the economy is struggling, but sometimes it just happens. We can be importing cheaper goods (from China etc. ), or we could be restructuring around tougher retail competition and surging on-line sales. And given the rest of the world is still struggling with deflation, it would have been surprising if some of that deflationary pressure didn’t wash up on our shores. It looks like it has. So this softer inflation outlook has forced the RBAs hand. They had to cut. They even have to probably give us another one (look out August). The point is, that the last rate cut is more about inflation than it is about the outlook for growth. So when it comes to rate cuts, I’m chill. The other area where I’m chill, house-doggies, is what’s going on with house prices. The Domain House Price Report showed us that the combined-capital median price fell 0.5% in the March quarter. That’s not huge, but we’ve been used to seeing pretty solid growth in recent times. Anything with a negative in front of it was going to raise eyebrows. And like the inflation data, the falls were pretty broadly-based. In fact, Melbourne (up 1.2%) and Hobart (up 4.3%) were the only cities to post increases. 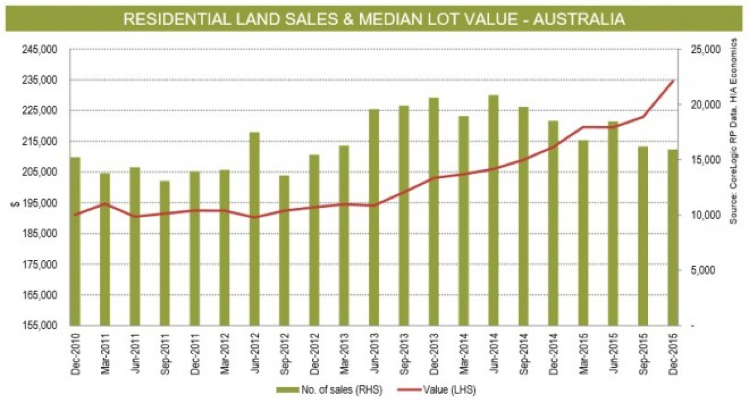 If we dig down to the fundamentals of the property market, they tell a different story. And when I’m talking fundamentals, I’m really talking land. What this tells us is that the number of lot sales continues to fall, but the price of the median lot continues to rise – in fact it’s booming. It means we’re brewing up a shortage of housing. If the property market was fundamentally soft, we’d see falling sales AND falling prices. Falling sales with rising prices just tells us that we’re not bringing enough land to the market. And so fundamentally, the direction of the housing market is still up. And so why are prices falling? Thanks to the ASIC restrictions that came in around the middle of last year, banks have been clamping down on the credit tap. 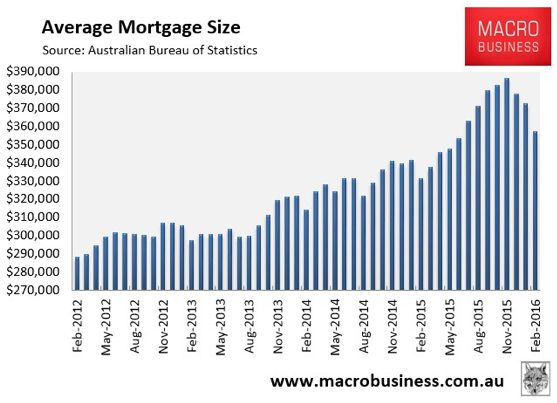 The average mortgage size fell the most in 15 years in the March quarter, according to the ABS. So what that tells me is that we’re not looking at a cyclical fall in property prices. The underlying market is still pushing higher. Rather, the recent soft patch we’ve seen in prices is all about the ASIC restrictions, and they way they’re keeping a lid on mortgages. But remember the ASIC guidelines (10% growth in the investor mortgage book), were all about slowing growth, not driving things backwards. Towards the middle of this year, the banks will have hit their ASIC targets, and it will be back to business as usual (more or less). That means the temporary restrictions will ease, and the market will do what it wants to do. And what does it want to do? Well, looking at the land data, looks like it wants to rise. That market is actually priming us for good times. Add in a couple of rate cuts and it’s game on. And that’s why I’m chill. What do you think? Is my glass too full?